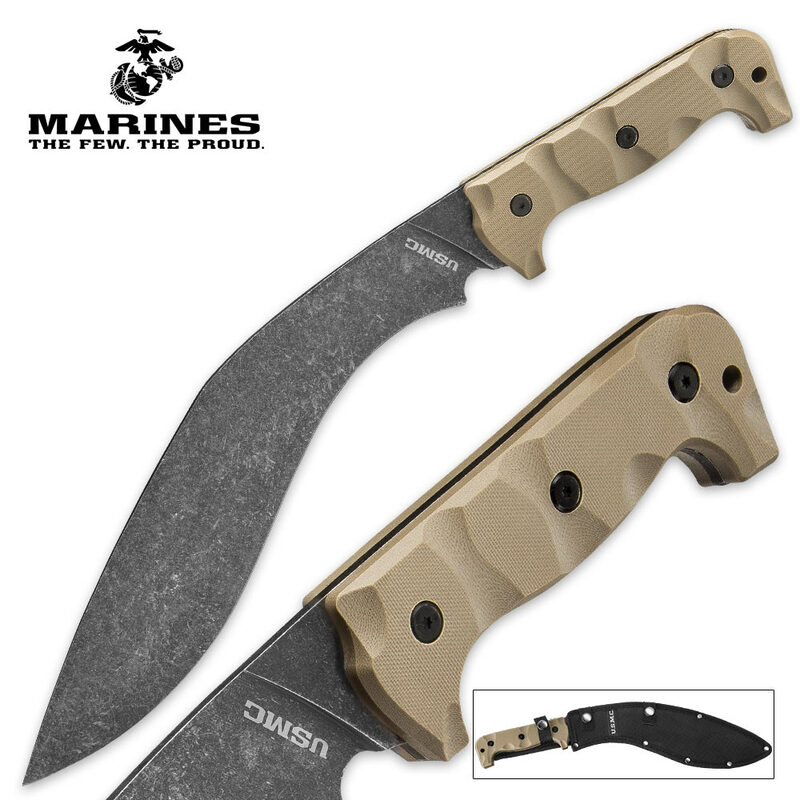 The USMC Desert Sand Kukri Machete continues the proud tradition in strength and endurance of the United State Marines. 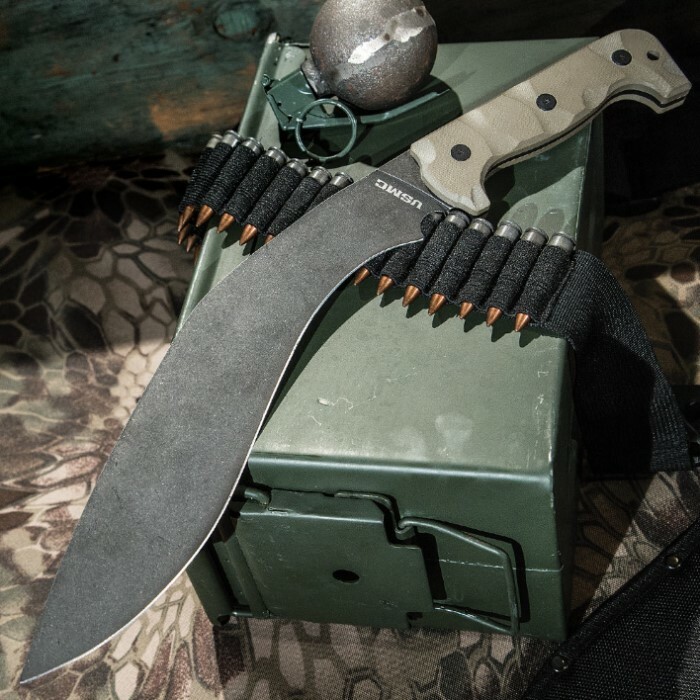 This kukri machete honors them by being just as rough and tough as they are. 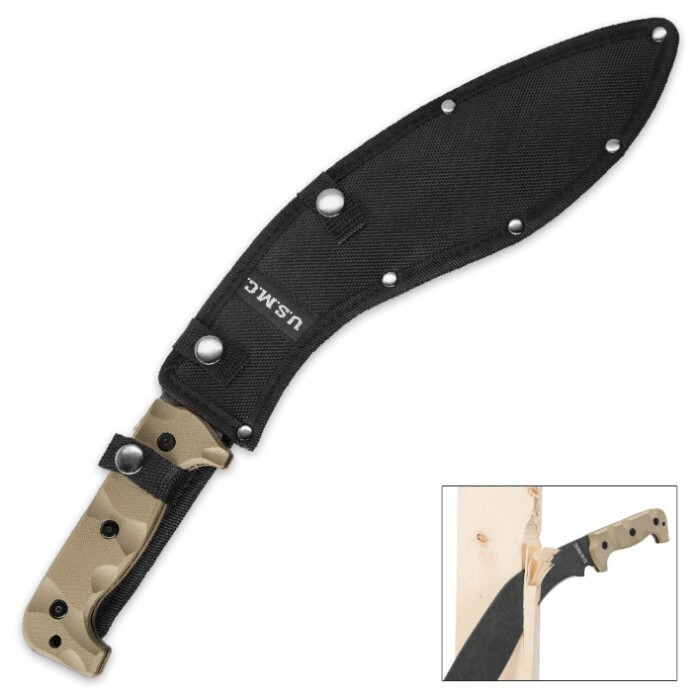 It has a 11 1/2" blade is of rust-resistant 3Cr13 stainless steel with a stonewashed finish. The G10 handle is impact resistant and it comes in a heavy-duty nylon sheath emblazoned with the USMC logo. The kukri is 17" overall. I like it, it's a companion to my .300 Blackout. I just don't understand why BudK has the manufacturer's ship out knives that are duller than a butter knife. I've never received a decent sharp working blade from them. I always have to hone it sharp or at least dress the blade up with a ceramic rod. It's very frustration. received this kukri. and is a very solid piece. could have been a little thicker (looks to be 3mm, as it is 2 nickles thick, but didn't measure it). but overall...I love the look and feels great...for 20 bucks its well worth the $$$. It is great for chopping.